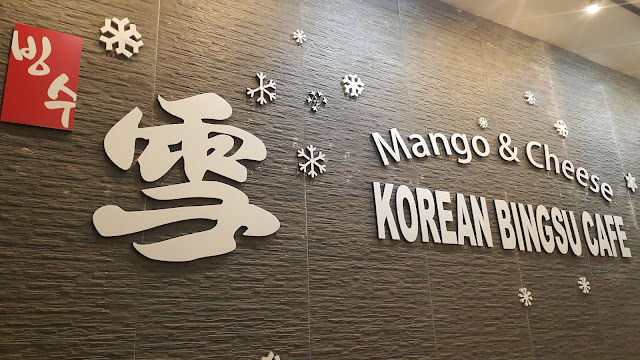 Having the perfect combination of Injeolmi bingsu and Rabokki, the Mango and Cheese Korean Bingsu Cafe in Century City Mall reminded me of the days that I was so active as a Krew member in Korean Cultural Center because we often eat together after duty! 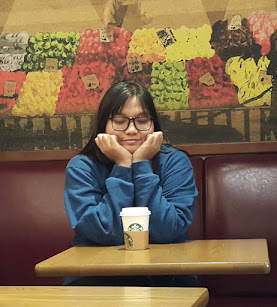 I visited their shop when I covered for The Philippine Premium Public Transport Summit 2019. 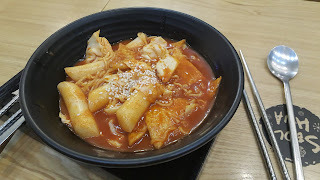 The cafe instantly reminded me of my favorite Rabokki shop in BGC, the Cafe Seolhwa and I was ctually surprised that their table is 'Seolhwa' meaning to say it's actually a branch of Cafe Seolhwa. 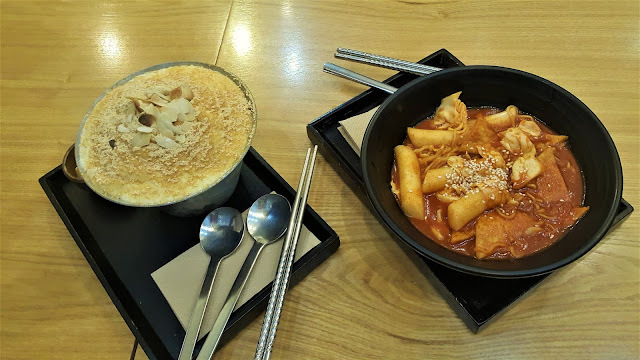 When I checked on their menu, everything screams of the seolhwa menu so I know that I am in the right place. 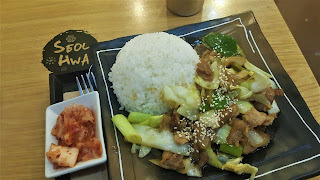 I tried their bulgogi rice meal and I was surprised by the amount of serving and the Kimchi included on it. 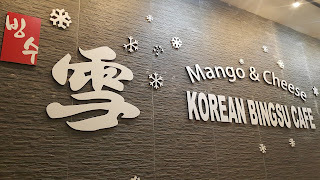 Kimchi is usually served in Korean restaurants but I wasn't expecting any side dish here since it's a bingsu shop and the price of my order is just (150.00 pesos) only. 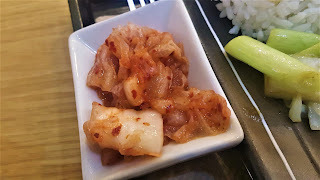 Taste-wise, it is pretty close to homemade especially the Kimchi. Of course, what's a bingsu shop experience without the bingsu? 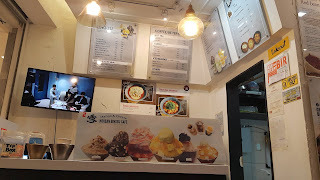 I highly recommend Injeolmi bingsu whenever people ask me what flavor to try. 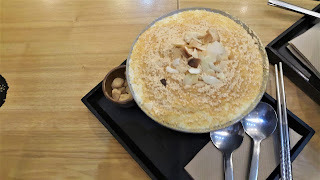 This bingsu flavor is well-recommended by KCC's vice director when we first asked him what bingsu flavor is the most recommended to try. 1. Their meals won't disappoint you, it is very affordable for its quality and amount of serving. 2. They also have 'Economical Set Menu' for more affordable pair choices good for sharing. However, the set menu won't allow you to select a different flavor aside from the exact ones indicated on the menu.